Do your kids think they are going to college? I find it cute how my kids just assume they will (OMG with what money?) In fact, sometimes for fun, I threaten them and say, "If you break that, that will come out of your college tuition." He started playing with it as soon as he opened the box. I couldn't believe it. Can You Prepare Kids Now For Tomorrow's Job Market? I joke about college a bit because my professional life has so little to do with what I studied in school. I frequently wonder how college will prepare them to have a good career. I think about how some folks I know have Masters degrees and still no steady income. 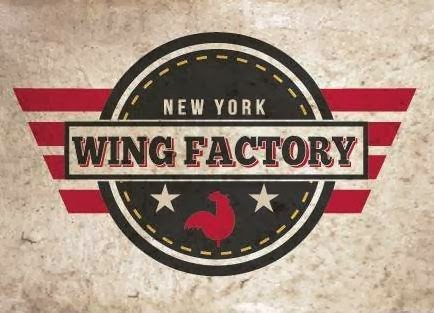 So many people are getting laid off too. I start worrying: What will give my child that critical edge? Graduating from a "good college" isn't enough. I don't have all the answers but I will share with you my best guesses. One of them is this: Challenge your child to face his toughest critic: himself. Jay Silver, Founder/Director of JoyLabz, Co-inventor MaKey MaKey gives an incredible TED Talk about creativity and technology. My son flipped after watching this. After this, I realized how MaKey MaKey could teach kids how to be make thing accessible for others including themselves! Can Fun Stuff Be Hard Sometimes? You'd think that only at school when tackling one's toughest subjects will the Voice of Self-Doubt start to sing but guess what? My belief is that this voice can be heard even when a child is doing something he loves. Even for the highly talented, there is always something that is kind of hard. Factor in some disappointment that can result from an idea that didn't work on the 1st or 2nd try and well... kids just might end up quitting. Thank Heavens Science Fair is Over! 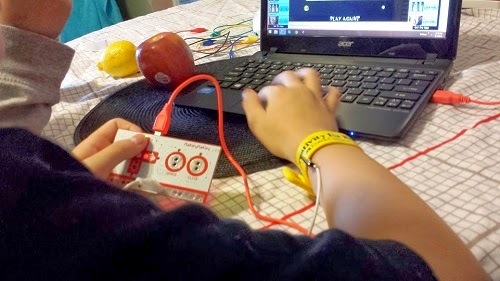 I was hesitant to give my son the MaKey MaKey kit for this reason. As soon as he saw the kit he promptly told me that he'd like to trash his science project idea (for the 3rd time in 3 weeks) and use the MaKey MaKey instead. Even though I had every intention of giving this kit to my son, doing a science project is hard work. For some kids, the organizing, communication, sequencing out that "scientific method" is a nightmare. Parents are not too thrilled either. And how many of us actually see real original ideas at Science Fairs these days? The way I see it, the more original your idea is, the scarier it is for a child, defining qualities of a control group, what to look for when taking data, it's the best way to do a science project but it takes so much time!!! Moreover, kids have other work and they must meet their deadlines. 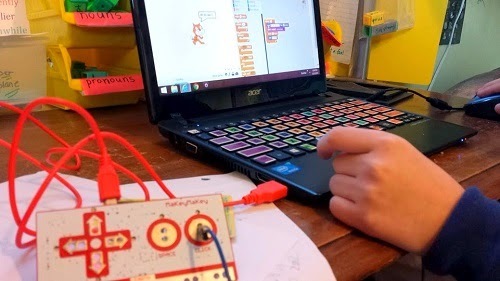 I really wanted the MaKey MaKey to be a positive experience and worried that he might dislike the kit if his science project ended up overwhelming him. Finally, after he did some research and presented his hypothesis and method to me, I gave him the kit while saying a silent prayer. At the Science Fair: This year, I heard so many compliments about his work. I guess no one has ever seen a fruit piano before. What Do You Do After the Banana Piano? He made a lovely science project having his schoolmates and faculty play piano notes with various fruits. Hooray! Science Fair - DONE! Now it was time to play! But suddenly, I sensed possible frustration coming... I knew my son would set out to do something super crazy creative after the whole banana piano thing. I started to wonder: Will he bite off more than he can chew? Watch the TED Talk video above where Jay Silver, the Founder/Co-inventor of MaKey MaKey as he wows an audience by playing music with a smear of ketchup and a hacked pencil. It's enough to blow your mind and my kid? Let's just say that there is a warning on the box: "User may start to believe they can change the way the world works. Extended usage may result in creative confidence." You'd think that is a joke but get your own box and you'll be laughing only because it's so true. Grandkids LOVE simplifying technology for their grandparents. Grandma was very very impressed. I often marvel at how creative children can be. They have that kind of spontaneous thinking that has not yet been dampened by years of "reality checks." Still, for some kids, especially kids who are bright, they can be unbelievably tough on themselves. They come up with lofty ideas but do not have the self-confidence and the grit to go through that series of failed attempts to finally figure out how to complete their brilliant idea. Then they will start to blame themselves and say something like... "I'm not that creative." or "I don't have any talent in this." Sure enough, after he entertained a flurry of crazy ideas, I could see that my son was about to board the bus to Give-Up City. What do you do if this happens to your kid? Do I say, "Hey, that's B.S.! You are talented" or do I pretend to be impressed with the half-assed job that he has told himself to be complacent with? Do I provide constructive criticism embedded in some sort of polite language that most smart kids find incredibly condescending? My husband told me to chill out and I did. This time, I decided to just quietly sit there next to him and if I did say anything, it would be short but direct. Soon, he began collecting more confidence as he continued to tweak his creation. The cool part about this kit is that tweaking things is rather easy. Like the calculator, it's more about freeing oneself to do more complex and interesting tasks instead of spending all your energy doing tedious computations. 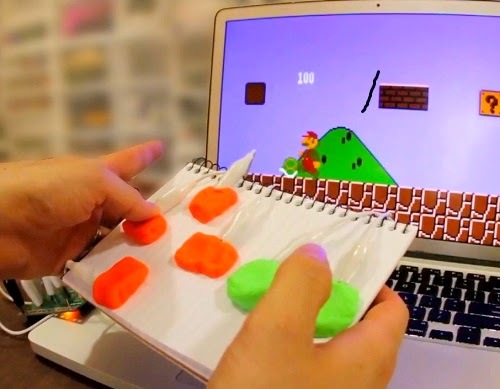 This is why MaKey MaKey is a highly intuitive toy. 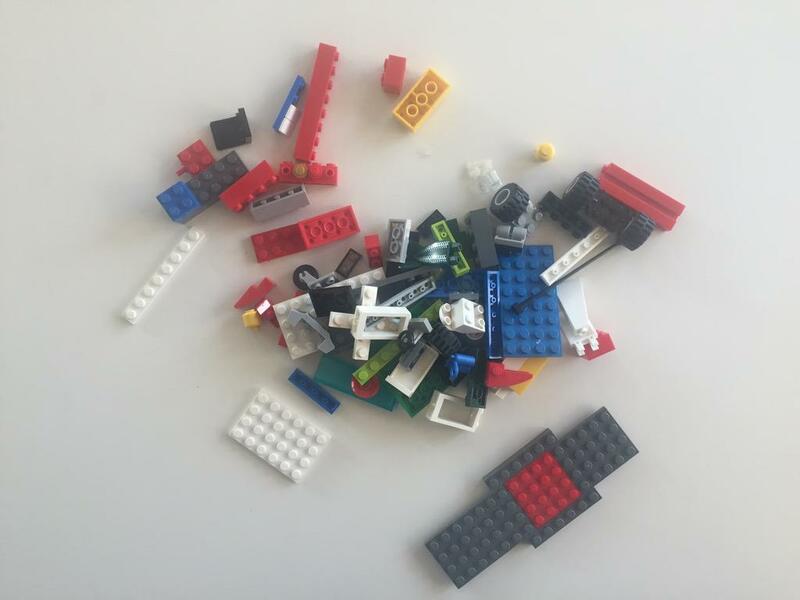 It really allows kids to determine the level of complexity and so kids are less likely to bite off more than they can chew. 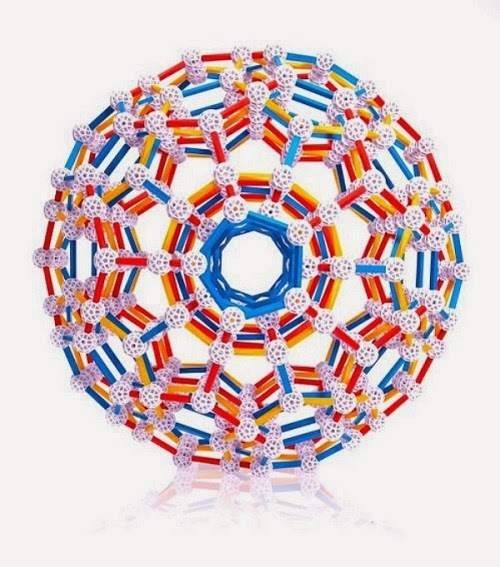 Instead, the intuitive quality of this toy means that they'll just take a good size bite and then when they are ready, they'll keep taking more bites as they continue to question, wonder, dream... When kids play this way, they can achieve the kind of flow that makes work feel more like play. 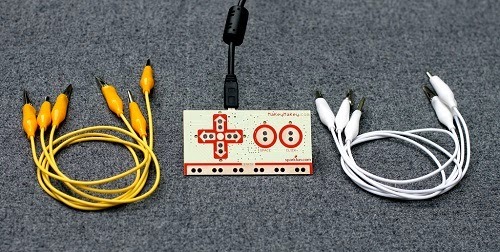 This is one of our new toys called the Toroflux and MaKey MaKey turns it into an awesome Operation-like game. Stop Thinking About Creativity and Just Make Something, Okay? 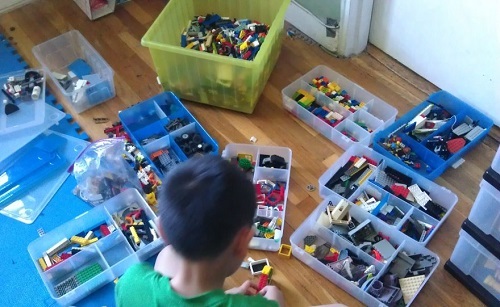 Eventually he came up with an Operation-style game where players must remove LEGO pieces from a ring made of playdough. If you touched the playdough then the MaKey MaKey would tell the computer to make a sound (no tweezers necessary). It was delightful- watch the video! He was thrilled with himself. I could see how he was really happy with his creative idea but I made sure I used that moment to remind him that he was able to get this far because he stopped thinking about how talented or creative he was or wasn't. Instead, he just focused on his project and making it super fun. It's an important lesson we will be teaching them over and over again. If you use the MaKey MaKey to teach that lesson, don't be surprised if you forget your goal and end up getting lost in all the fun. Seriously, don't say I didn't warn you. Onto his next project using Scratch. 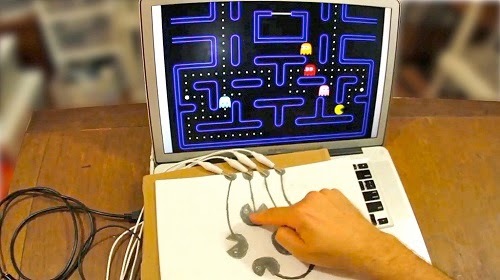 Like Scratch, Makey Makey was borne from research done at the MIT Media Lab. What's with the stickers on the keyboard? They help him memorize the keys. I love them. 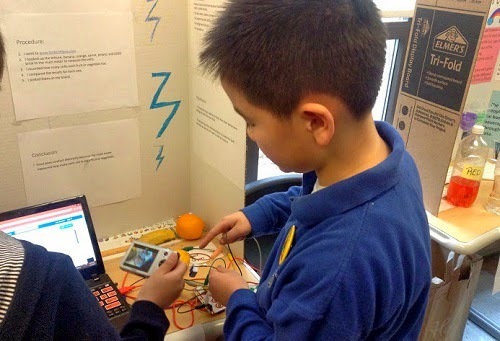 Big Points for: I'll be asking you to pick your fave MaKey MaKey video, visit the MIT Media Lab website, give advice on how to get things like MaKey MaKey into our kids' schools. How can I be the first one to comment? This is an amazing toy/tool/thing! What's most exciting to me is that MIT is doing this. We've already used Scratch and I have no doubt MaKey MaKey is in our future! I'm from the Boston area originally (never been to MIT) and am so goldang impressed that MIT is thinking about kids this way. It gives me hope! Hope for kids like my son and for kids everywhere! The video of the homemade operation game is the most impressive! Good job. I think I might just buy this for my son's school because it is so amazing! I'm not sure how it would work with public schools, but I know that his private school would be the perfect environment for using this. Oh, I know!!!!!!!!!!!! but think like this.. it's like money.... sometimes we need to spend time on learning something new so that we can actually do our jobs in less time. All those things above are designed to optimize experience and save time too. the MIT Media Lab looks amazing. I love that talk about bionics. I had no idea. I liked the video of the musician with the eggplants. It sounded really nice. 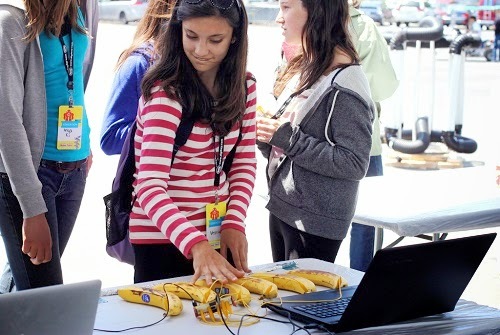 I don't know how to get MaKey MaKey into schools. But my daughter's science teacher might like it if it fit into her curriculum for the year. I guess I should go find out. Very excited about Scratch Jr! 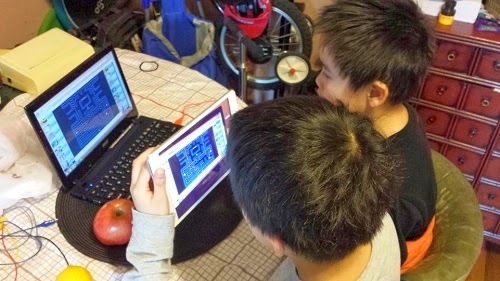 My oldest was really into Scratch but it was to hard for my younger son who is also interested. 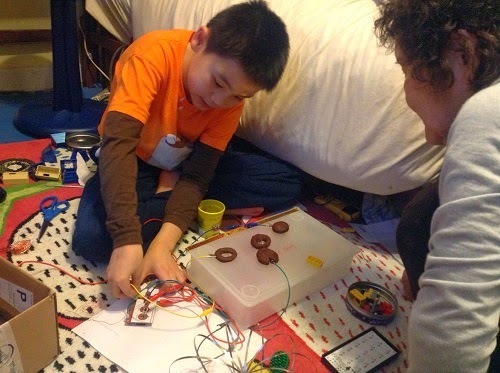 One way to get MaKey MaKey into schools is to get parents to it in through enrichment. I know at the elementary schools in our district parents have been pushing and leading the way with robotics clubs these past few years. Our HS has won awards and gone to nationals having only been around a few interested! The Lego drum sequencer is really cool!